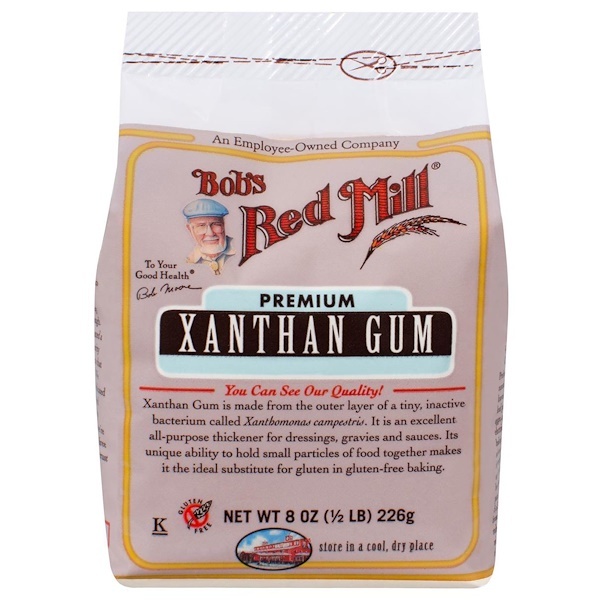 Xanthan Gum is made from the outer layer of a tiny, inactive bacterium called Xanthomonas campestris. It is an excellent all purpose thickener for dressings, gravies and sauces. It's unique ability to hold small particles of food together makes it the ideal substitute for gluten in gluten-free baking. Most recipes call for only 1 or 2 teaspoons, so it goes a long way. 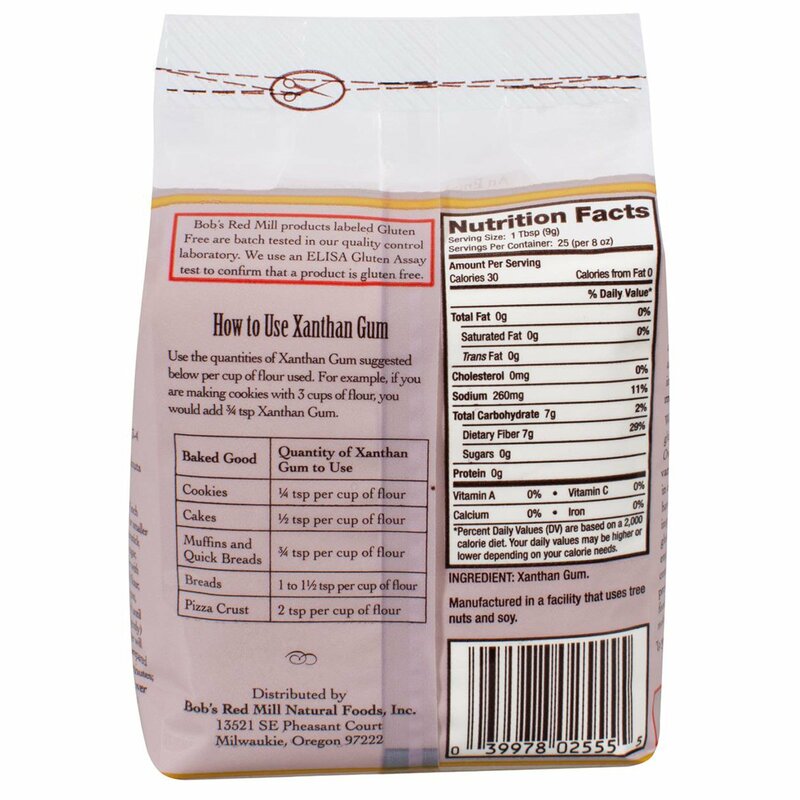 Bob's Red Mill products labeled Gluten Free are batch tested in our quality control laboratory. We use an ELISA Gluten Assay test to determine of a product is gluten free.